What Happens to a Baby After a Stillbirth? Stillbirth is the death and delivery of a developing baby that takes place after the 20th week of pregnancy. After fetal death has occurred, the baby must still come out of the womb. After the delivery of your stillborn child, difficult decisions face you even as you cope with your grief. Although stillbirth can occur during the process of labor and delivery, most stillbirths happen before labor begins. You may fear the worst if you notice that your active, kicking infant becomes eerily still. Stillbirth is confirmed through a test called an ultrasound, which can confirm absence of a fetal heartbeat. Sometimes this test can tell your doctor why your baby died. Your doctor may also recommend a blood test to ascertain what caused your baby's death. Your doctor will tell you what choices are available to you. After a fetus dies, labor generally starts within two weeks. Some women may need to deliver the fetus immediately due to health concerns. Although waiting for labor to occur usually poses nominal health risks, many women choose induced labor. If you choose induced labor, your doctor may apply a medication to your cervix to help it expand. Afterward, a medication called oxyticin is administered intravenously to cause you to have uterine contractions. The fetus, placenta and umbilical cord are examined post-delivery to determine the cause of your baby's death. Your doctor may advise that an autopsy and other tests be performed to determine the presence of chromosomal abnormalities or other specific disorders or infections. After post-delivery testing is complete, you can spend personal time with your baby. These moments are yours to share how you choose. You can dress your baby, clip a lock of her hair, take his photograph or talk and sing to her. Some parents have their baby baptized or have his measurements, hand prints and footprints taken by hospital staff. If you choose to have a memorial, a social worker or hospital chaplain can assist you. Some funeral homes provide cremation services or a coffin and burial for stillborn babies free of charge, which helps defray costs. You'll need to plan the service after the hospital releases your baby's body to the funeral home. 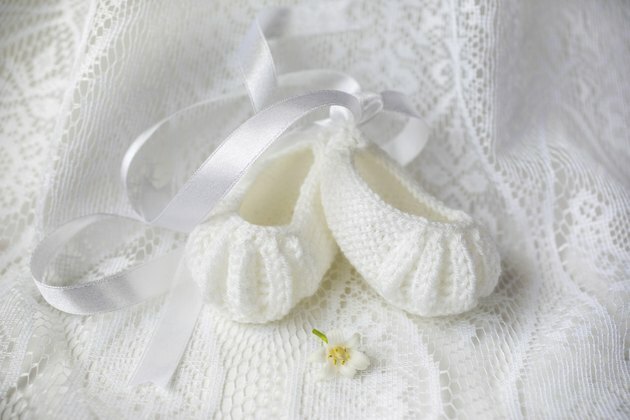 How you wish to handle your baby's memorial, including who you wish to invite and what type of service you feel appropriate, can involve making difficult choices. However, this painful process helps give you much-needed closure. The cause of half of all stillbirths is never determined, even with testing. However, some of the known causes of stillbirth include poor fetal growth, birth defects, infection, the mother's chronic health condition, and problems with the placenta or umbilical cord. Progress in medical care has considerably decreased the number of stillbirths in the past two decades. Women with high-risk pregnancies can be monitored more closely with routine ultrasounds and fetal heart rate monitoring. Contact your doctor immediately if you notice vaginal bleeding or decreased activity in your baby. How Do I Handle My Daughter's Abusive Relationship?